Enjoy a Symphony of Weekend Events! 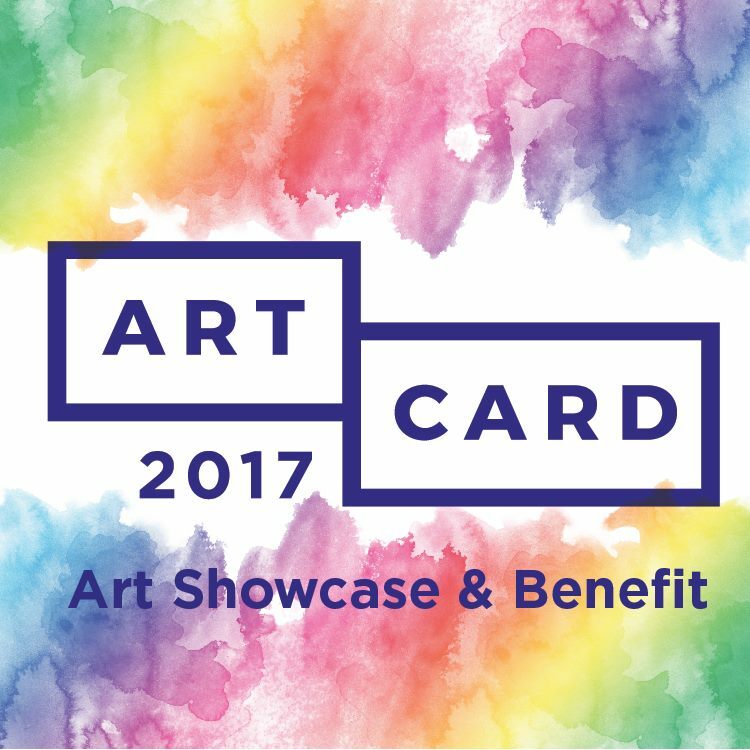 ArtCard is the signature fundraiser of the Oasis Junior Board. The evening includes an art show and porch party with live music, food, and beverages. Guests have the opportunity to purchase 12x12 pieces of artwork known as ArtCards, created by talented and professional artists, for $60 each. With your support, Oasis can continue to help women, children, and families overcome difficult life circumstances and rebuild their lives. Click here for more info. InSpero presents third annual Magic City Storytellers at the Clubhouse on Highland. Come at 6 for wine, cheese, beer on the patio. Local writers, poets, singer/songwriters from 7-9. Coffee bar by The Neighborhood Brew and desserts by Church Street Coffee and Books at intermission. Sponsored by the new Heat Pizza Bar in Lakeview! Click here for more info. Meet your friends and neighbors for an afternoon of music, food and fun! The Summit will be hosting their outdoor concert series in Saks Plaza on consecutive Thursdays in June. Four leading musical acts from the Birmingham area will perform on stage and there will be fun from The Gypsy Leaf henna artist. Bring your lawn chair to sit back and enjoy FREE live entertainment and some of your favorite local snack vendors! Click here for more info. 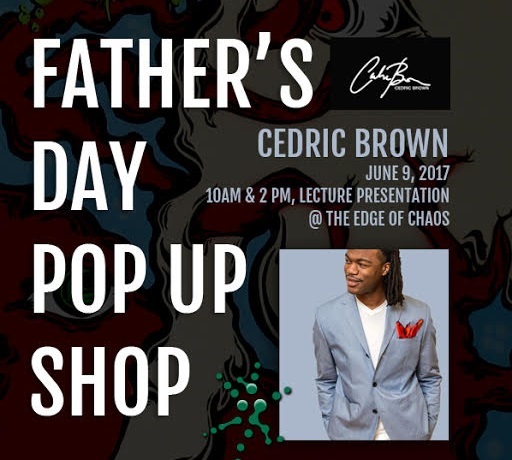 The Edge of Chaos will host a pop-up show of The Cedric Brown Collection. Cedric will also lecture on his entrepreneurial experience at 10am and 2pm. For more about this up and coming designer check out The Edge of Chaos or his website! Click here for more info. 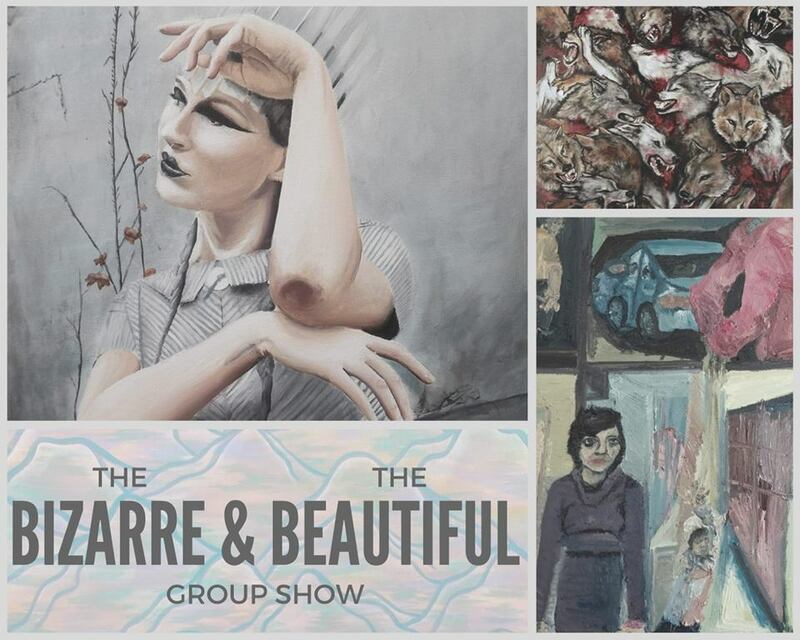 Please join us for the opening reception of The Bizarre & The Beautiful Group Show, curated by our mural artist, Claire Godbee. Enjoy cocktails, wine and beer from the bar cart, savor delicious desserts by the Roots & Revelry Head Pastry Chef, Janet Lee Norman, and other appetizers, courtesy of Roots & Revelry. Delight in art, poetry, music, and conversation. Live performance art by Molly McQuitty. Please dress beautifully! Bizarrely! Click here for more info. Come enjoy an evening of short films as the historic Oak Hill Cemetery presents global selections of the best short films of 2016. Also, they will be presenting a new film by Atlanta filmmakers Nadia and Ben Robertson. Bring your lawn chairs and picnics and join in on the fun! We hear that people are dying to get it! Click here for more info. The ASO is returning to Railroad Park to play three FREE concerts June 9-11 thanks to Regions Bank! This is one of our FAVORITE events of the YEAR! Friday & Saturday night will feature classical favorites, and on Sunday enjoy Family Fun Day with a family-friendly pops concert beginning at 6pm. So grab some friends, a blanket, and a picnic, and join in for a fabulous weekend of music! Click here for more info. Free event open to the Public! 7th Annual Black Creek Arts Festival hosted by the North Jefferson Arts Alliance (formerly the Fultondale Arts Council). The organization’s name was changed to the North Jefferson Arts Alliance in July so that they can better serve artists and performers in the entire North Jefferson County Alabama area. Click here for more info. Chances are your Saturday begins with listening NPR’s Weekend Edition on your radio. On June 10th, you can start your weekend by watching Scott Simon broadcast live from Birmingham’s historic Lyric Theatre. The historians at the Lyric tell us that this is quite possibly the first ever radio broadcast from their stage. Be sure to join in for this exciting look at how radio is made! With a new name, CACAO presents the Magic City Food and Music Festival 2017! Join everyone at Linn Park for an entire day of fun, food, dancing, vendors and more. Check out their website for the schedule of events! Click here for more info. The Beginning of Summer Soirée at teh Rooftop is this Saturday! They will have 1/2 off bottles of rosé, rosé tastings, and will be introducing some new brews from Harpoon Brewery with one of their reps bringing some great merchandise ! There will be something for everyone! So come to The Roof Saturday, June 10th at 4pm to get your summer started! Click here for more info. House Peace has partnered with Arc Stories again to present a night of stories about (dunh-duh-duhh) The Unknown. There will be coffee, water, and snacks available from Church Street Coffee. Real people. Real stories. Click here for more info. The GBHS is joining over 1,500 shelters nationwide by taking the “Just One Day” pledge of no unnecessary euthanasia! On Sunday, all animals will be only $21 to encourage as many adoptions as possible. 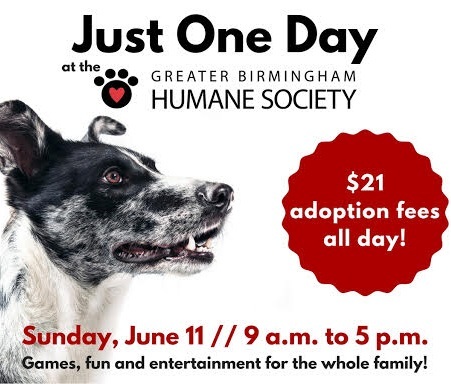 While adopters wait to meet and adopt a new family member, they can enjoy games, activities, food from Greg’s Hot Dogs and Steel City Pops and entertainment from Birmingham duo Zach and Cheyloe. Click here for more info. There are over a dozen events stretching from June 2 all the way to June 11. Here’s a great AL.com article that lists each one in detail. 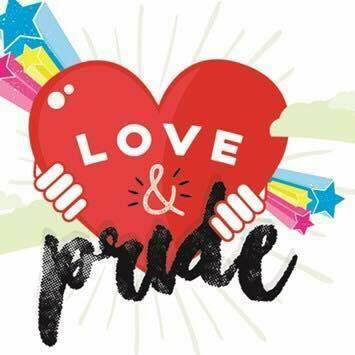 Two of the biggest events are the Pride Parade on June 10 and PrideFest at Sloss Furnaces on June 11 .